A revolutionary startup was recently announced by the "father of the world wide web" which plans to radically decentralize the internet to give it back to the people. 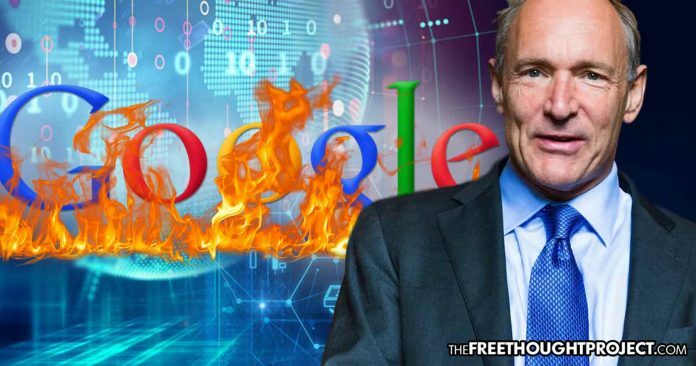 (ZH) “For people who want to make sure the Web serves humanity, we have to concern ourselves with what people are building on top of it,” Tim Berners-Lee told Vanity Fair last month. “I was devastated” he said while going through a litany of harmful and dangerous developments of the past three decades of the web. Berners-Lee’s new online platform and company Inrupt is being described as a “personal online data store,” or pod, where everything from messages, music, contacts or other personal data will be stored in one place overseen by the user instead of an array of platforms and apps run by corporations seeking to profit off personal information. The project seeks “personal empowerment through data” and aims to “take back” the web, according to company statements.